Do You Want to Shop Smarter at The Home Depot? Working in the construction, real estate and accounting industry, you must know the struggle of repeatedly manually entering your purchase data into accounting software. Every time you do it, you risk making errors or creating duplicates, both of which could potentially decrease your business’ profits. On top of that, you are wasting precious time you could be using to make more money. Well, you no longer have to worry about these problems! The Home Depot has developed a solution for people like you to both make your work life easier and boost your profits: Home Depot Pro Xtra Member Program. 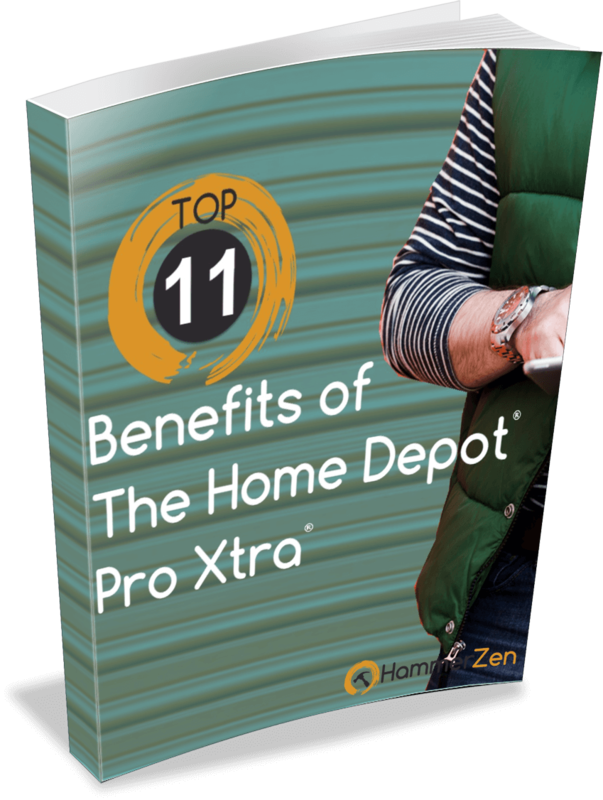 What is Home Depot Pro Xtra Member Program? The Home Depot is continuously adapting and working hard to suit its customers’ needs and satisfy a consumer base that includes a large number of contractors and real estate investors. Contractors tend to purchase materials in bulk to prepare for the whole work week, but keeping track of all of your job expenses becomes much more difficult as time goes on. That is why Home Depot developed Pro Xtra, a loyalty program that simplifies managing your business. Pro Xtra was designed by professionals for professionals just like you. Pro Xtra is available to everyone, including contractors and real estate investors. A Pro Xtra desk is conveniently located in all of Home Depot’s 2,200+ stores so that you can go right to the desk before or after you shop to ask questions or sign up—or you can sign up online at your convenience! Home Depot’s Pro Xtra software is helping many business owners organize and record their company’s purchase data quickly and efficiently, saving them lots of time and money. On Pro Xtra, you can get all of the critical details in one place and save receipts for up to twenty-four months—a full two years! The program’s capabilities make it beneficial to its users for a number of reasons. The signup process is simple and easy. All you need to do is enter a few important criteria for your business, and you’re already on your way to running a better business! Sign up online or just visit a Pro Xtra desk at your local Home Depot store and create your account there. Creating an account is free, too, so you can save money without spending much it–especially since becoming a member is totally free! Save yourself from spending hours upon hours entering every part of your data; instead, use the Pro Xtra software and allow Home Depot to upload your purchase data for you. Entering data manually creates a risk of making typos or entering duplicate jobs, both of which could be harmful to the prosperity of a company. 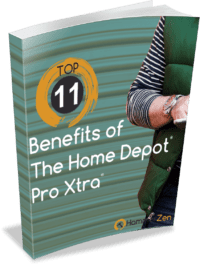 However, with Home Depot Pro Xtra Program, you eliminate the possibility of potential mistakes, thus ensuring a more secure and flourishing business. On top of all of the other amazing benefits offered to Home Depot Pro members, they can also receive free shipping on all of their purchases. Home Depot will even deliver it directly to your job site. This way, you can save money on shipping from your supplier and transport materials from one place to another! After exploring the Pro Xtra site for a little while, I finally decided to look at my profile. While doing so, I found out that Home Depot not only tracks your purchases but also sends receipts right to your inbox! They also save receipts on the site for twenty-four months, making it especially easy for you to retrieve relevant information when you need to make returns or analyze project data. I also realized that it is effortless to edit your account if you must change it. All you need to do is go to your profile and hit the “Edit” button at the top of your Profile Information. Also, you should know your information if you decide to call user service; they typically ask for it at the beginning of a call. You are not limited to just one payment type for your Pro Xtra account. Thanks to its “Credit Cards & Accounts” tool, you can sync multiple credit cards so that all Home Depot purchases made by your business will be updated in your Pro Xtra account; you can use Home Depot credit cards (of course), your own credit cards, or gift cards. As long as you use a card that is linked to your Home Depot Pro Xtra Loyalty account, you can easily keep track of your purchases without having to put much effort into it. You can even link your Consumer Credit Card, Project Loans, Commercial Revolving, and Commercial Accounts. No matter how you pay, Pro Xtra keeps track of the payment methods used for each purchase. As you already know, you are not limited to just using one credit card as payment. You can now use various bank accounts to make a payment so that all Home Depot purchases made by your business be will updated in your Pro Xtra account. As long as you use a bank account that is linked to your account, you can easily keep track of your purchases without having to put much effort into it. Use your office, cell, and home numbers. You are not limited to with just a bank transaction or credit card. Now you can link your phone number and make a payment with cash or any type of payment, including gift cards. All you need to do is connect your phone number to the Home Depot Pro Xtra account. Remember to give your phone number at the time of purchase and all the purchases and copy of the receipt will be saved in your Pro account. As long as you use a payment method or phone number linked to your Home Depot Pro Xtra account, you can easily keep track of your purchases without having to put much effort into it. Pro Xtra grants its users exclusive Home Depot offers. The offers vary; more often than not, they consist of levels of discounts (up to 20%) and rewards programs on the dollar amount of your purchase. This gives you multiple opportunities to save even more money, and let’s be real—who doesn’t like saving money? It does not end only on materials you purchase but also on the mobile phone, data, entertainment tickets and more. When it comes to saving money, Pro Xtra has you covered. You can use Home Depot’s “Business Tools” to update the jobs for each purchase or enter the receipt number in case you forget to use your account at the time of payment. You can sort your purchased items by date and job; this makes much easier to keep track of your company’s primary spending actions. In addition to that, you can look at the prices of different items before and after taxes, much like a giant receipt. The “Business Tools” tab is very helpful in logging different information about your business. It is nearly impossible to argue that Pro Xtra does not save its users precious time and money. By recording the business’ information automatically and providing tools to smoothen the workflow, Pro Xtra helps to make the user’s business more successful and more profitable. With all of your Home Depot purchase data stored in one place, you can effortlessly navigate through the information. However, Pro Xtra does not handle the accounting for you—but it does provide you with the ability to quickly download your summary and detail purchase data so that you can easily import your purchase information into your accounting software. If you use an accounting program like QuickBooks, you can use software, such as HammerZen, to handle the import and seamlessly integrate your Pro Xtra into QuickBooks. If you need help with downloading your summary or detail data, then just click on the image below for a video tutorial! By using Pro Xtra, you as a business owner can increase your business’ profit. The program allows you to save time and money so you can use it for more important jobs—jobs more important than struggling to sort the receipts from all of your projects. Pro Xtra records and organizes your purchase data for you, saving you time and money in managing your business. However, that is where Pro Xtra’s job ends. The accounting for your company begins with HammerZen, the software that helps you seamlessly transfer the information from Home Depot Pro Xtra to QuickBooks Pro, Premier, Enterprise, Accountant and QuickBooks Online versions. HammerZen is created by a team of real estate investors, accountant and Certified QuickBooks ProAdvisor to help professionals like you! You can also find more Accounting Hacks and Home Depot hacks here!